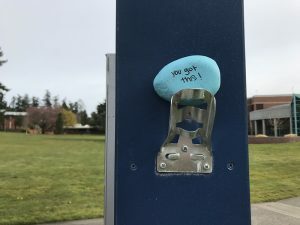 Someone anonymously placed painted rocks with uplifting messages around the Clark College main campus. These colorful rocks appeared just as finals week approached. “You got this!”, “Stay strong!” and “Suicide prevention” were the painted messages. 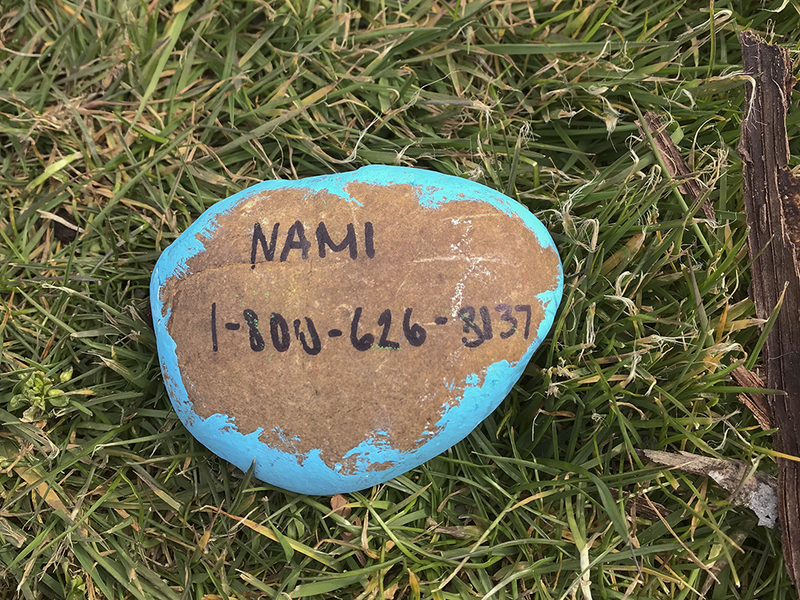 With “Nami” and “1-800-626-8137” painted on the flip side of the each rock. According to Clark County’s Community Services website 1-800-626-8137 is the number for Clark County Crisis Services. Information from the website says this number is available all day everyday. Allison Young a crisis services operator explained that this number exists to help stabilize people. People with chemical dependency, mental health problems, experiencing a panic attack or hallucinations are all welcome to call and will find someone to listen and help them get access to services. “NAMI” was painted on each rock next to the crisis services number, but is for a different organization. National Alliance On Mental Illness frequently referred to as NAMI is an organization focused on improving the lives of those with mental illness. They Educate, advocate Listen and lead according to their about page. NAMI provides many services. More information can be found on their website or by calling toll free 800-950-NAMI. Stay safe clark community. “You got this!” by anonymous.